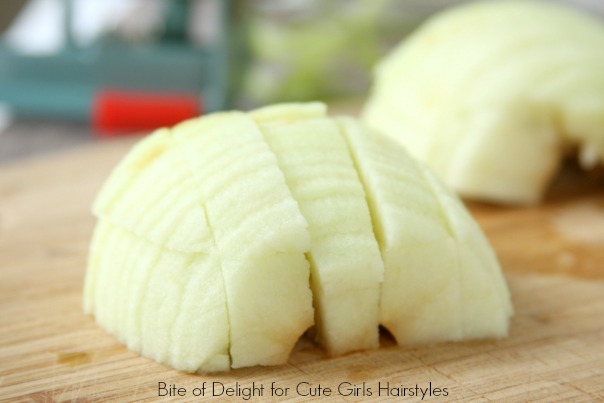 Place diced apples in a 9×13 baking dish. In a small bowl, combine sugar and cinnamon. Sprinkle over the apples. 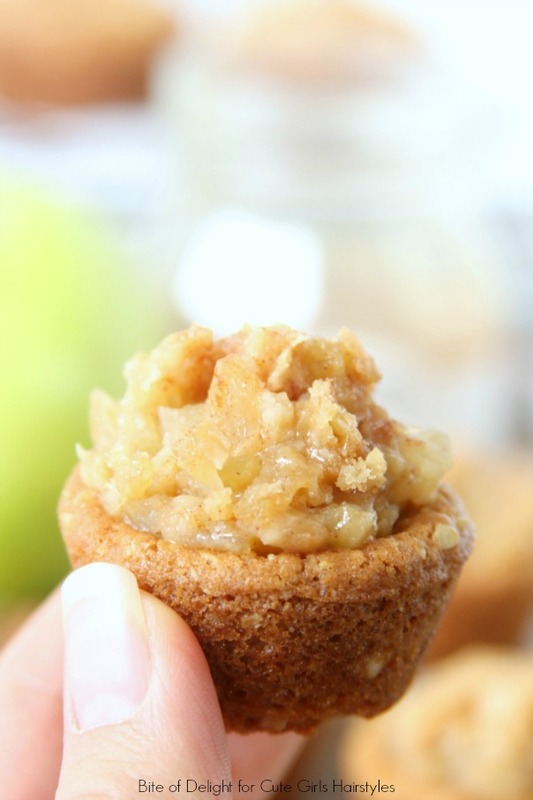 Combine the butter, muffin mix, brown sugar and oats and sprinkle over the apples. Bake for 30-35 minutes, or until bubbly in the center. Remove from oven and cool. Cream the butter, coconut oil, granulated sugar and white sugar until fluffy. Add the eggs one at a time, then add the vanilla, beating until combined. Add the salt, baking soda, baking powder and flour and combine. 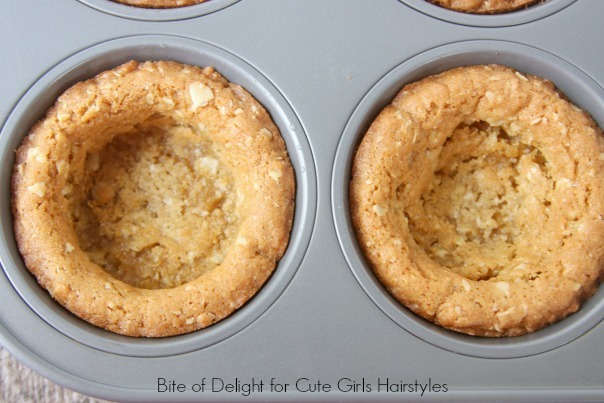 For finger desserts scoop a heaping tablespoon of dough into each cavity of a mini muffin tin. Press the dough into the bottom and up the sides. Bake at 350° for 8-10 minutes, or until lightly browned. Makes approximately 48 cookie cups. For plated desserts scoop 2½ tablespoons of dough into each cavity of a regular muffin tin. Press the dough into the bottom and up the sides. Bake at 350° for 12-15 minutes, or until lightly browned. Makes approximately 24 cookie cups. 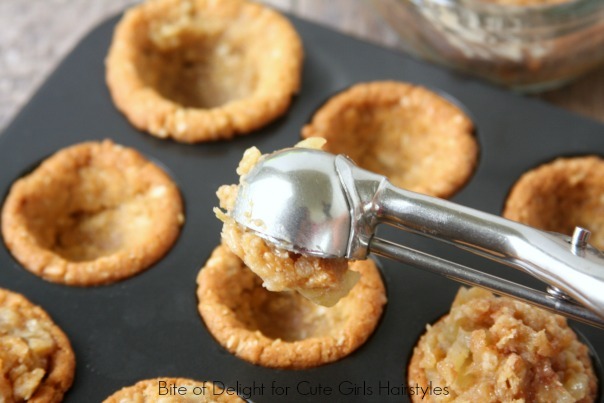 As soon as the cookie cups come out of the oven, press the centers down to create a well to hold the apple crisp filling, if desired. 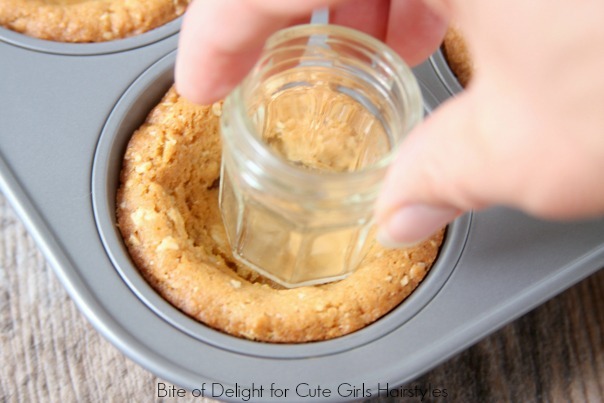 I use a tiny jar to press down the centers of the larger cookie cups. 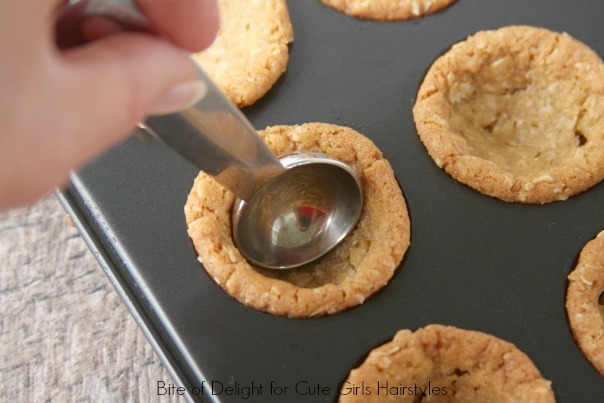 I use the back of a teaspoon to press down the centers of the mini cups. 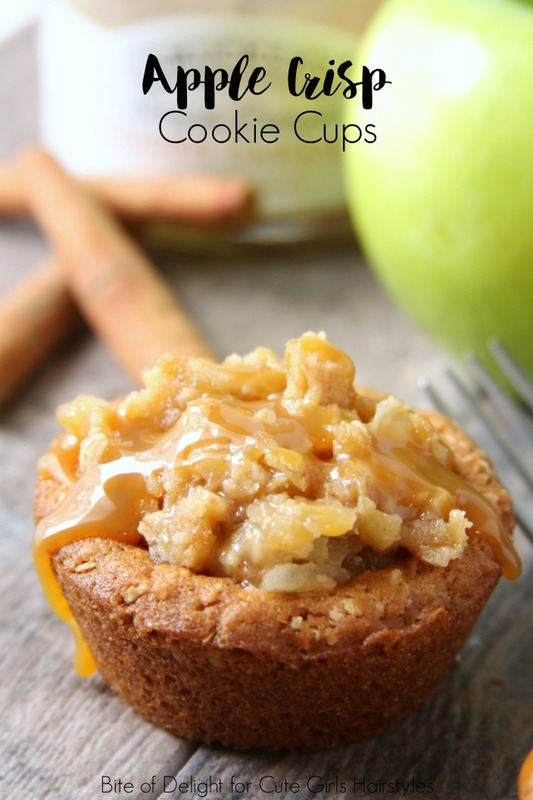 When the cookie cups are cool, remove from the muffin tins and fill with the apple crisp filling. 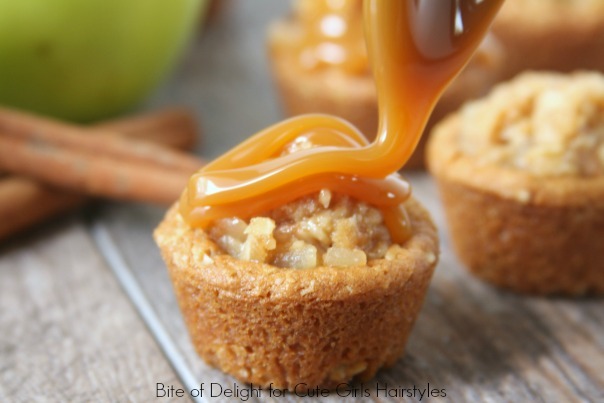 Serve as is, or top with whipped cream or ice cream, and even a drizzle of caramel sauce! You can increase the cinnamon from ½ to 1 teaspoon, depending on your preference. 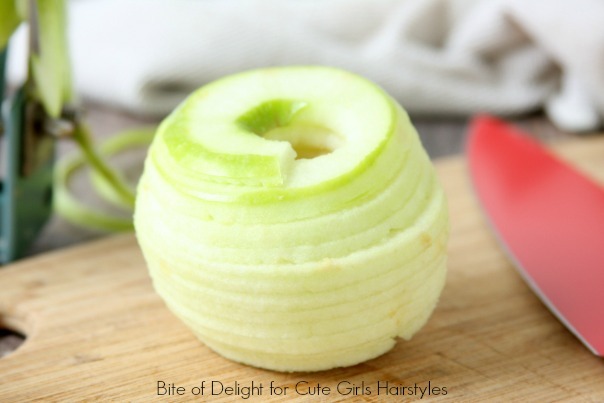 I use an Apple Peeler/Corer/Slicer machine, and then use a knife to dice the rounds. I use the Jiffy brand Apple Cinnamon muffin mix. If your grocery store doesn’t carry it, you can find it on Amazon. I haven’t tested this recipe with other brands. I don’t sift the dry ingredients together (for the cookies) and I always get great results.